The PC market has obviously been having a tough time of it recently, with sales plummeting 14 per cent in the first quarter of 2013, according to analysts IDC. The combination of the rise of tablets and smartphones, the global recession and the resurgence of Mac sales at the top end have all put a dent in sales figures. And this has obviously hurt the divisions of Microsoft that make most of their money from PCs, particularly the Windows operating system. At the same time Microsoft has realised that it needed to up its game in the faster growing smartphone and tablet market to compete with the likes of Apple and Android. But then someone somewhere decided that solving these problems required a single solution. The result? Windows 8, a new universal operating system that would work across PCs, tablets and smartphones, giving the same look and feel whatever device was being used. 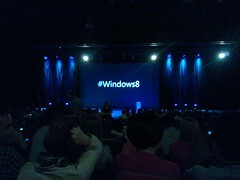 Unsurprisingly for something that tries to appeal to everyone, Windows 8 is dreadful. Its completely new, tile based interface may work well on tablets and smartphones – though given Microsoft has sold less than a million of its Surface tablets (compared to 19.5 million iPads) it is difficult to make valid comparisons. But it has flummoxed traditional PC users who have to learn a completely new interface that seems very much focused on consumer needs, with fast links to music and videos, rather than business requirements. No wonder that companies are putting off PC purchases in the current climate – why splash out on something that will require a lot of training when Windows 7 works perfectly well. The talk is now of a redesign for Windows 8, but my concern is how it has got to this stage. Microsoft has never really had a company-wide culture of innovation – from the original Windows it has tended to improve upon what is out there and deliver it well. Yes, it has areas of innovative research (the Cambridge office responsible for the Kinect for example), but (business) people buy Microsoft because it is the safe option. Instead of following that path this time, it has thrown out everything that has come before and decided to re-invent the user interface. Not just on one device, but across three – PCs, tablets and smartphones. Neither Apple nor Android have attempted that, because there are significant differences between small screen size mobile devices and PCs/laptops. Given that lots of people (including myself) still moan about the changes made in the last version of Microsoft Office, this has resulted in perplexed users and falling sales.